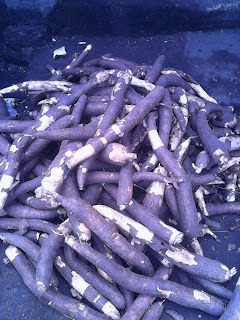 Cassava is one of the major cash crops in Nigeria. 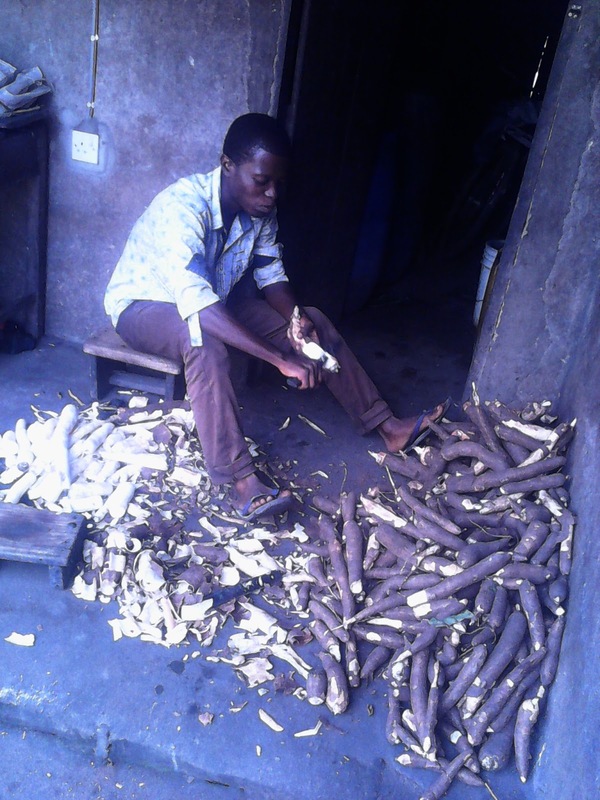 Many people go into cassava cultivation, in Nigeria as well as other countries. Africa as a continent produces cassava in a very large quantity. Cassava production can be the mainstay of Nigerian economy if cultivated in large quantities. In the industries cassava today cassava is being processed into cassava flour which is used in making bread and other snacks. Cassava has high industrial demand. You may also recall that Cassava Village Opens Soon in Niger State In Nigeria today cassava is used traditionally in preparation of local quality foods which include fufu, abacha, garri. Despite the high demand of cassava in Nigeria and Africa at large, including other parts of the world, nobody has been able to manufacture an efficient cassava peeling machine. Peeling of cassava today is done manually all over the world. Many Engineers have attempted to manufacture cassava peeling machine but all their effort were proven to be abortive when it when their machine recorded more than 10%losses. Any machine that has up to 10%losses is not worth being used. Another constraint to the production of cassava peeling machine is the variable thickness of cassava. With different thickness, what will now be the depth of peel, if you decide to take the depth of peel from one breed of cassava, what about other breeds. Efficient Cassava peeling machine has been so difficult to manufacture because cassava has an irregular shape, therefore producing a machine that will serve the various shapes has been so difficult. Not only cassava, all agricultural products are characterized by their irregular shape. Cassava has different varieties, the different varieties according to IITA includes TMS 4(2)1425, TMS 30001, TMS 30572, TMS 50395 etc. During my University days, a course-mate tried to develop cassava peeling machine, where he brought out a technical idea. In that project, he decided to make the machine spring-loaded, so that when the cassava approaches the peeling unit, the spring will automatically adjust itself to the shape of the cassava. This idea he brought was very nice, in that the idea addresses the issue of irregular shape. But the question now is what will be the efficiency of such machine? And how reliable is the spring? Can the spring be able o adjust efficiently to the shape of every cassava? The answer is CAPITAL NO many engineers have tried the spring-loaded technique but it is not working because the spring can only adjust, it cannot sense the exact shape of the cassava. This is exactly the reason why many cassava peeling machines attempted by the Engineers have recorded more than 10% losses. I have an idea which will help engineers who are into design to consider using photometric sorting in the design. The word photo means light. That means in designing a cassava peeling machine which uses photometric sorting, the engineer will consider the reflectance and capacitance properties of cassava. In so doing it would not only be the Agricultural or mechanical Engineer, it has now involved both the Computer and Electrical Engineer because when we talk about photometric sorting, we talk about the use of sensors. Therefore the cassava peeling machine can only be made possible by the use of a computerized machine which can detect and adjust to the exact shape of the cassava. When the cassava approaches the peeling unit, the sensor will detect the exact shape of the cassava, the peeling unit will adjust itself immediately according to the shape of the cassava, and the peeling would be very much effective. If this is done, the efficiency of the machine will be high and the losses will be minimal. If this is done, farmers will no longer battle with the manual method of peeling again. Agriculture is very lucrative and stressful, but developing these machines will ease off the stress thereof.